Our (production) secret lies in the apple. 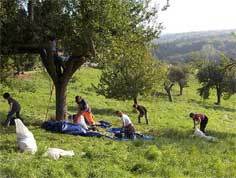 Namely, from our farmers who ensure that the apples grow in organic orchards. 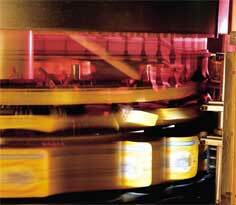 Modern conveyor presses ensure fast yet gentle processing. Filling Station Possmann applewine is a fully fermented wine with approximately 5-6% alcohol by volume (the same as most beers and much less than grape wine). 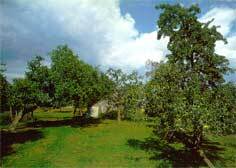 There are obvious similarities to “hard cider” which is very popular drink today throughout the world. The basis for our high-quality applewine is the special, naturally grown apples that are hand picked for just the right flavor. You won’t find these apples in your local grocery store. 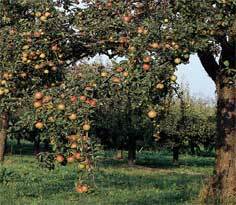 These wild apples grow untreated without chemicals on the grasslands and hillsides of central Germany. They mature, exposed only to nature’s life-giving sun, wind and rainmaintained and harvested by local farmers. 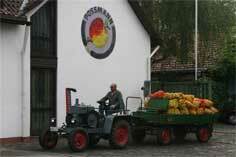 Fall is harvest season and a fresh crop of apples to be transported to the Possmann factory in Frankfurt Main. Over the course of 12 weeks, enough fruit is processed and stored in the vast underground storage tanks to last for the entire year. 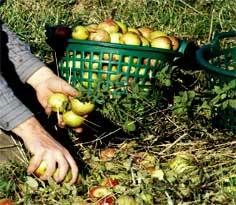 Over time, the basic process for making applewine has not changed. 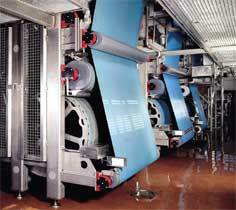 However, the latest technology enables Possmann to produce at a higher efficiency and with more consistency. For example, our newest apple press is gentler with the apples and therefore produces a fresher and more aromatic juice. After receiving the apples, the fruit is carefully inspected and weighed. 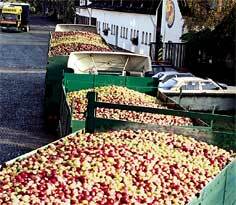 Only the best apples enter the processing chain for a thorough wash before being sent to the mills. From the mills, the fresh mash is pumped into one of three presses running simultaneously to produce 8,000 liters per hour. 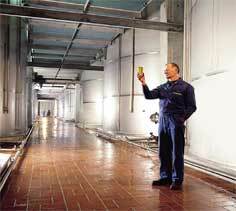 The apple juice coming from the presses is filtered and then pumped into an interim storage tank. Here, the wine master decides the final destination for each batch of juiceit will either move to a fermentation tank to become wine or it will be fine filtered to produce a non-alcoholic juice. Nothing is wasted. In fact, the leftover pulp (or “trester”) is a valuable bi-product that is sold to farmers and hunters to feed sheep, cattle or deer during harsh winters. 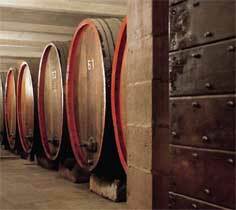 After the harvest season, the rest of the year leaves the wine makers constantly fermenting wine and bottling product for distribution. The unique taste of Possmann products is achieved through a one-of-a-kind processing techniquea tightly guarded family secret! German food and beverage authorities have a well-deserved reputation for creating and enforcing the most stringent quality standards in the world. To stand up to the challenge, in our home, the commitment to quality is passed down from generation to generation. 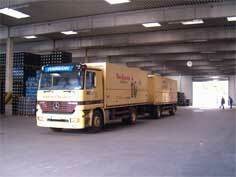 As a result, Possmann in regularly recognized and rewarded for its products. We have been awarded the DLG Award of Excellence and numerous CMA Grand Prizestwo of Germany’s highest honorsfor all of our products. Recently, our apple juice (Landappel Naturtrueb) won first place as the best juice in direct competition against 20 other leading brands as part of the German Consumer Agency’s annual test. For a company our size, this is an award that we are extremely proud to hold. The way to our customers.